Special effects crayons that require no sharpening! Simply twist the end of the barrel and you're ready to go. Add Neon, Rainbow or Bright colouring to your works of art! 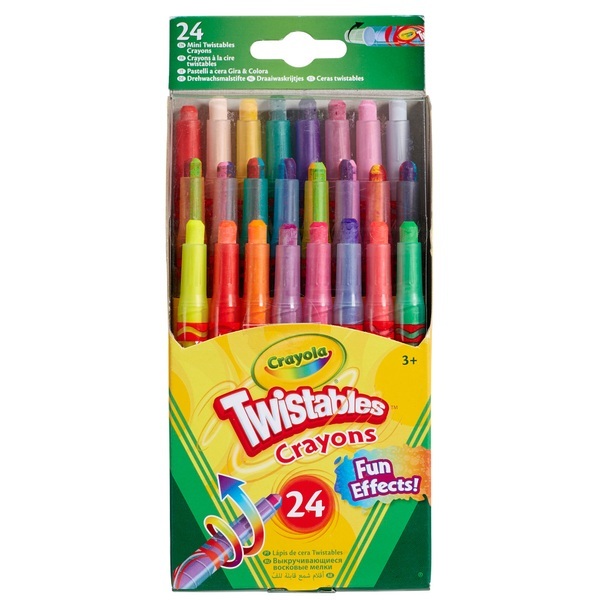 Crayola Mini Twistable Special Effects Crayons are wax sticks with an added twist! Simply twist the end of the barrel and you're ready to go. Add Neon, Rainbow or Bright colouring to your works of art! These are sure to set your imagination spinning.